Designed for aggressive freeride and freestyle riders, the all new the Park HD is now in High Definition, thanks to its open arc and high aspect ratio of 4.6. It fuses high performance with easy handling for an incredibly forgiving ride in nearly every condition. The static bridle platform provides great acceleration through turns, crisp bar feel and ensures stability—even in extreme conditions. Unhooked, the Park HD delivers a great “pop and slack” combination, which helps riders nail their next big trick. While hooked-in, riders will appreciate the instant power and lift generated when jumping. Convenient top-zip bag = quick packing + secure hold. All Naish pumps include a built-in inflation pressure gauge. 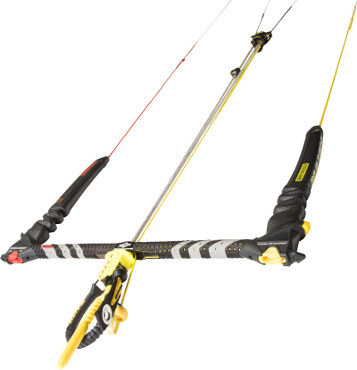 This provides optimum bladder pressure to maximize the kite’s performance. One way valve for reduced frictional force, easy inflation and immediate deflation.